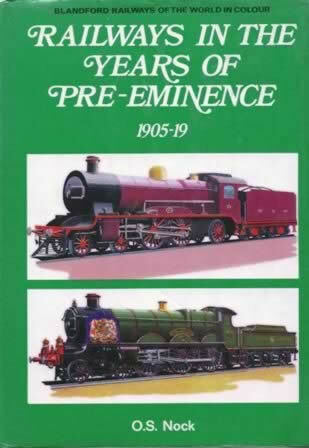 Railways In The Years Of Pre-Eminence 1905-19. This has been produced by O S Nock. This edition is a second hand copy which is in a Reasonable condition. However, the dust cover is slightly worn.